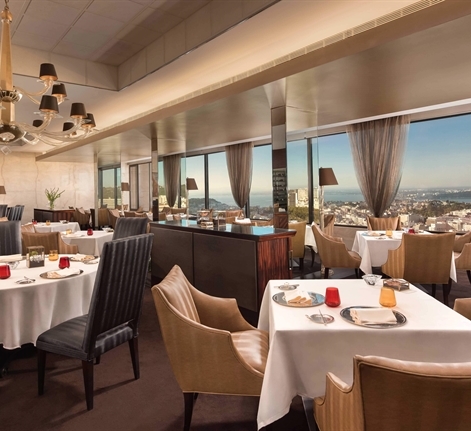 Meet Lisbon From One Of The Most Glamorous And Renowned Restaurants. 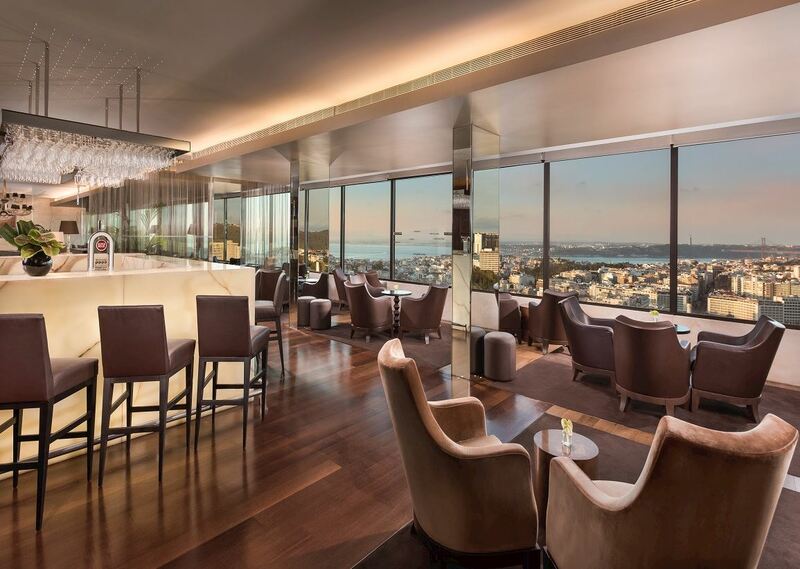 Located on the top floor of the Sheraton Lisboa Hotel & Spa, the Panorama Restaurant offers a selection of culinary experiences, combining traditional Portuguese cuisine with a touch of urban flavour, in a sophisticated atmosphere, while offering the breathtaking views of the vibrant city. To end the night in perfection, have your favorite cocktail at the cosmopolitan Panorama Bar. Red Prawn, Beet, Smoked Aromas. Iberian Pork "Presa" Clams and Potatoes. Codfish, Crayfish, Fried Potatoes, Egg Yolk and Olive. Tomato, Onion, Carrot and Coriander. Smoked Ham Slides and Foie Gras. Organic Vegetables, Coriander and Citrus Dressing. Peas, Potatoes and Smoked Iberian Pork Ham. Codfish, Chickpea and Olive Purée, Turnip Greens and Olive Oil. Rice, Razor Shells, Snapper and Green Apple. Suckling Pig, Lettuce and Onion Salad. Rib Eye Steak, Fresh Vegetables. Roasted Lamb Leg, Broccoli and Sautéed Fresh Broad Beans. Redberries, Beet and Balsamic Vinegar Ice Cream. Cold Soup, Roses Ice Cream, Cracker, Pink Crispy and Wild Strawberries. Sour Almonds Ice Cream, Milk Crunchy, Salted Caramel, Cotton Candy. Creamy Custard Tart, Cinnamon and Lemon Flavors. An exclusive view point right in the city center. We Are Surrounded By Cinemas, Theatres, Art Galleries and Shopping Centers. Panorama Bar The Top Floor Glamour´S Panorama Bar Is A Spot Not To Be Missed In Lisbon. Enjoying An Original Cocktail To The Sounds Of World Music, With The Bustling City Of Lisboa And The River As Your Backdrop... One Of The Most Memorable Experiences In Lisbon.